Even though this trail is only a couple of kilometers long, set aside an entire morning for it. From route 805 take the road leading to the Yaad community village. Park your car at the pine tree forest near the entrance. 4X4 vehicles can continue on the dirt tracks. Your first stop is the wine-press, about 800m into the trail. About 300m along you will reach the Rosh Zayit remains and then continue on to the remains of Beza, a village dating back to the times of King Solomon where you'll find ancient burial caves. A newly opened, 9km, off-road bicycle trail meanders along the perimeter of the forest. Near the settlement of Nofit, The Ohad Trail is named after Ohad Zak, a Nofit resident who was killed while serving in Lebanon in December 1998. The trail is about 2.5km and takes about 90 minutes to walk. There are benches and look-out points along the way so you can sit down and enjoy the stunning views of Nahal Tzipori, the Galilee, and the Acre Valley to the south. Israeli wild flowers and date, olive, pomegranate, and almond trees line the trail. Near the end of the trail you can take in a view of the Carmel, the Nesher quarry and the Haifa bay industrial zone. Getting there: Nofit can be reached from Kiryat Tivon and the Alonim Junction, or drive along Highway 672, which branches off the Yagur-Shfaram Highway (Highway 70), about 2 km from the Yagur Junction. The Lavi pine forest at Tzommet Golani is home to ruins and remains from the Roman-Byzantine period. Also known as Lubya, the name Lubya was known during the crusaders period and is also mention in the Talmud. In addition to walking the trail, it is also recommended for experienced cyclists. Great news! The forest is handicapped accessible. There are two trail choices; 1) Follow a clearly marked pathway approximately 1.5km, an ideal family option or 2) Not for beginners; challenging and some may even say, hard. Climb the rocks, walk through the natural vegetation, along the river bed with the sometimes turbulent river close by. Either way you will eventually reach the Yehudia Canyon and the waterfall that drops 20 meters into a natural pool, surrounded by basalt rock formations know as the Hexagonal Pools. Good hiking shoes or sandals that can be used to wade in the water will come in handy - lots of algae, small stones and rocks in the water. Be careful! 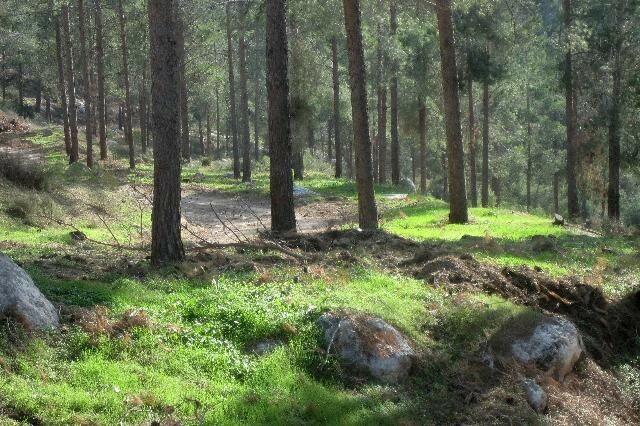 The Israel National Trail INT is one of the only trails of its kind in the world. 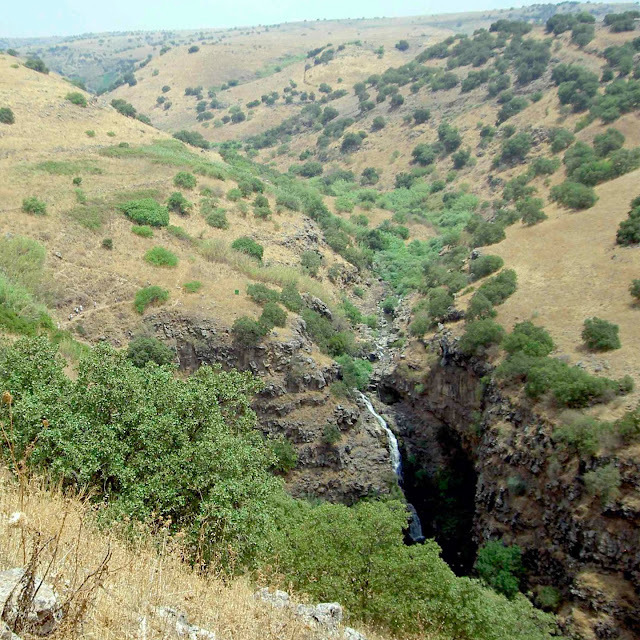 The 920 kilometer trail from the north to the south of the country, is an amazing way to see Israel. The trail transverses forests, mountain ranges, urban areas and deserts before ending at the southern most point on the Red Sea. 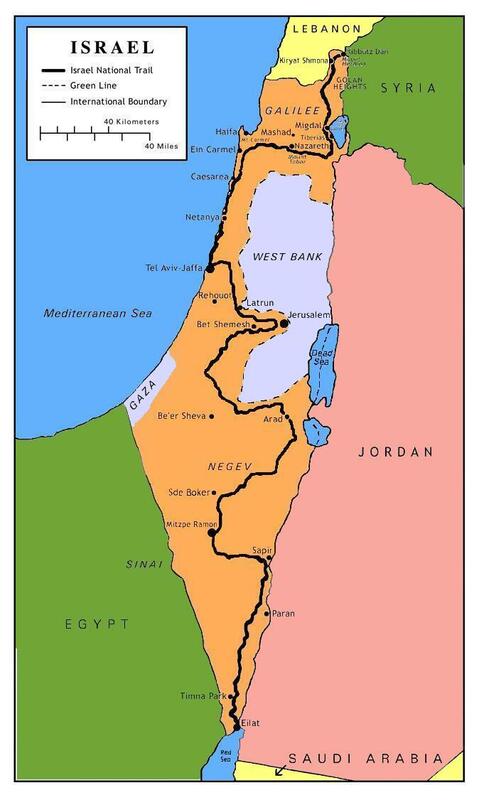 Along the way it passes Arab & Jewish villages, Roman relics, Crusader ruins and Druze and Christian holy sites.